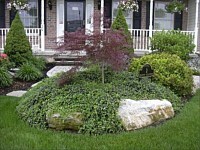 TimberRock Enterprises LLC offers custom landscape design services to Bethlehem clients and neighboring locations. We serve homeowners, commercial property owners, contractors, architects, and builders who want only the best results for their landscaping projects. We have a long list of satisfied clients in Bethlehem, Easton, Allentown, Whitehall, Hackettstown, Stewartsville, Nazareth, Morristown, Flemington, and Stroudsburg. Our more than fifteen years of experience have allowed us to build a solid reputation anchored in excellent service, professionalism, and outstanding results. We urge you to try our design services and see for yourself why clients place their overwhelming approval of our work and trust in our offered services. We look forward to serving you soon. 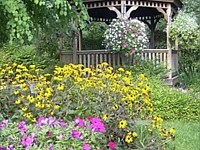 Landscape Design: Designing landscapes is one of our strongest areas of expertise. We follow a methodical approach to creating design plans for commercial and residential clients who wish to improve their properties, both semi-outdoor and outdoor. We keep in mind our clients’ budget restrictions, design needs, and the functionalities that they want to enjoy. The results are designs that clients absolutely approve of. We use only the latest landscape design software to offer our client a perfect vision of the end product so that they can really get a good idea of what the end product will look like. Only when we have the clients complete approval will we then move onto the construction phase and help them realize their landscape dreams. We also design and build various landscape structures, such as pergolas, gazebos, arbors, custom porches, pavilions, and other shade structures. We have skilled and creative artisans and woodworkers who can install custom amenities using the finest materials available. Just let us know the structures that you desire, and we’ll create them for you using the exact specifications that you’ll give us. At TimberRock Enterprises LLC, we are proud to say that we are among the very few landscape design and build companies in Bethlehem, PA with truly competitive rates. Our budget-friendly rates allow us to render great services at costs that clients like you can easily afford. Additionally, clients are assured that the people working on their projects have decades of experience in landscaping, with skill sets that ensure fast project completion with stellar results. No matter how simple or complex your landscaping concern may be, rest assured that we can address it with the deftness that only the finest landscapers can provide. 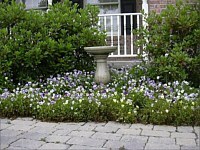 Call us now at 484-764-7175 to get more details on our premium landscape design services.